HCM City would be able to cope with the many challenges caused by the rapid increase in its migrant population when becoming a smart city, a conference heard on Wednesday. Export turnover of agro-forestry-aquatic products is expected to reach 2.74 billion USD in October, bringing the ten-month figure to nearly 29.76 billion USD, up 12.7 percent year-on-year. Vietnamese conglomerate Vingroup’s retail property business has been granted approval to list its shares on the Ho Chi Minh Stock Exchange on November 6, a listing document showed on Thursday. The food and beverage market is expected to see potential for further development in the 2017-18 period, according to the Viet Nam Report Company (VNR). 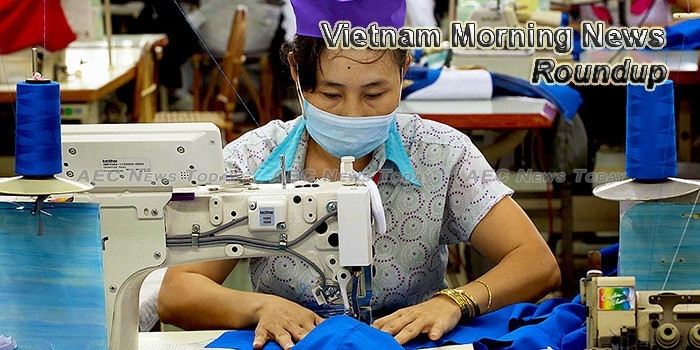 Viet Nam’s export goods can compete with products of other countries in the South Korean market, local enterprises in South Korea said at a meeting between a delegation of Vietnamese enterprises and their partners in Seoul, South Korea, on Tuesday. HCM City’s business climate and business development strategies were introduced at an Investment-Trade-Tourism Promotion conference in Sydney, Australia, on Wednesday. The Ministry of Planning and Investment’s Foreign Investment Agency (FIA) and the Indian Business Association in Việt Nam (INCHAM) inked a memorandum of understanding (MoU) on investment promotion on Wednesday in Hà Nội. Deputy Prime Minister Truong Hoa Binh speaks at Gateway to Vietnam 2017, which is being held in HCM City from October 25-27, with the participation of 25 Vietnamese leading companies together with nearly 200 domestic and foreign investment funds. Japanese communications production company AOI Tyo Holdings Inc, through its subsidiary AOI Pro Asia, has acquired a 36 per cent stake in Vietnam-based VF Investment JSC, it said in a filing. The newly released World Bank’s “Migrating to Opportunity” report shows that in 2015, ASEAN countries received a total $62 billion worth of overseas remittances. The remittances, called kieu hoi in Vietnamese, accounted for 7 percent of GDP in Vietnam. Mall operator Vincom has raised $708m in its initial public offering, marking the biggest ever domestic flotation in Vietnam. Three startups incubated by the Vietnam Innovative Startups Accelerator (VIISA) have received seed funding from venture capital firms. Due to the underperformance of Vietnam’s auto supporting industry and the import of 75-80% of auto parts and components, the production costs of automobiles have been pushed up, making it difficult to compete with other countries in the region. Shares of Vietnam Enterprise Investments Limited (VEIL.L) are moving on volatility today -0.05% or -0.20 from the open. The LSE listed company saw a recent bid of 399.80 on 25201 volume. LG Innotek is going to produce camera modules that are for Apple in Vietnam and this will be the first time when LG Innotek is producing its camera modules that are for Apple in a foreign country. Lawmaker discussed a bill amending and supplementing some articles of the Law on Credit Institutions on October 26, stressing the need to ensure depositors’ interests and exempt persons engaging in credit institution restructuring from responsibility. The Khanh Hoa Salanganes Nest Company has been honored with a World Class Award at the International Asia Pacific Quality Awards (GPEA) 2017 in Manila, the Philippines. HANOI Vietnam currently has the highest level of economic growth in the Association of Southeast Asian Nations, but efforts to reform state-owned enterprises — a key to further expansion — seem to be going nowhere. The use of satellite earth observation date to monitor rice production in the Red River and Mekong Deltas was discussed at a workshop in Hanoi on October 25. Parents in the capital city of Vietnam are worried about their children’s health after plant protection residues were found in vegetable samples at the Hoang Liet Kindergarten in Hoang Mai District last week. General Secretary of the Communist Party of Vietnam (CPV) Central Committee Nguyen Phu Trong has offered congratulations to Xi Jinping on his re-election as General Secretary of the Communist Party of China (CPC) Central Committee.